But first, a little back story. I remember when the rumors of the Mega Centurion first started. It was a while before I started this blog, and I doubt I would have mentioned it even if the blog was up and running. 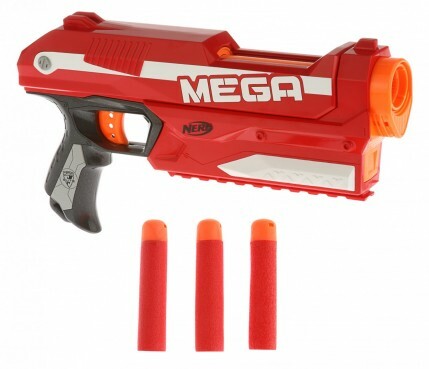 With its over-sized darts and overall length of somewhere between 3-5 feet, the Mega Centurion was supposed to be the 50 cal of the Nerf world. Everyone was abuzz with excitement, save a couple of people like me. In office combat, and the other games that I participate in, a 3-foot-long blaster (let alone a 5-footer) would be a liability. There is no place for a sniper rifle in a close-quarters, run-and-gun world. When the Centurion finally came out, many people were disappointed. It was big and it came with big darts, but that’s were the coolness kinda’ ended. The ranges were good but not spectacular, and stories of the blaster eating its entire compliment of six darts in less than an afternoon started to spread. The Centurion, according to the community, was a bomb. There have been no pictures released at this time. It’s rumored to be a pistol that will probably price out at about $15 or so. This would put it on my review list but it will lose points with me since it does not fire standard ammo. The talk is that the blaster will have a built-in clip that holds a whopping three, yes THREE rounds! It also claims to shoot over 80 feet. For those of you doing the math in your office, that’s ten cubicles! Little brother to the Mega Magnus? I guess only time will tell. I would love to be excited about this blaster, but there are so many reasons not to. 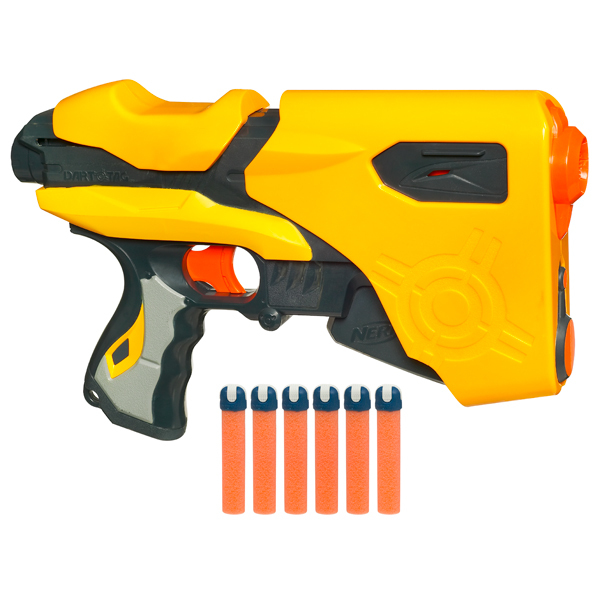 So, I’m just going to keep a “wait-and-see” attitude for now… at least until I see how much the Magnus looks like a Nerf Dart Tag SpeedLoad 6.